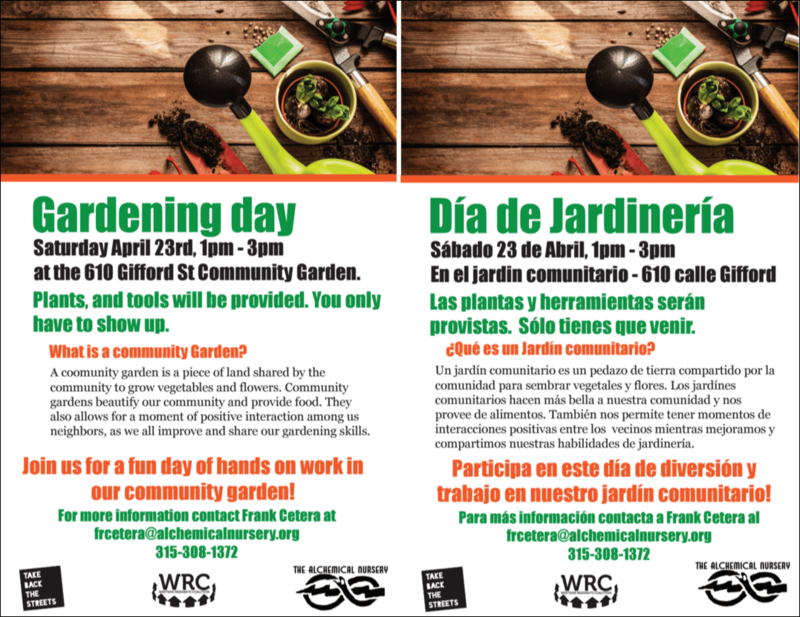 Don’t miss our opening Gardening Day at the 610 Gifford St Community Garden on Saturday April 23rd from 1 pm – 3 pm. It’s a good opportunity to come and meet one of Syracuse’s newest community gardens, in the heart of the Near West Side. Plants and tools will be provided, you only have to show up.